Volans launches its fourth product at Boot Düsseldorf (January 20-28), the Volans4all. Volans launches its fourth product at Boot Düsseldorf (January 20-28), the Volans4all. This boat is stable and safe, and especially designed for beginners, to easily master the rowing sport. 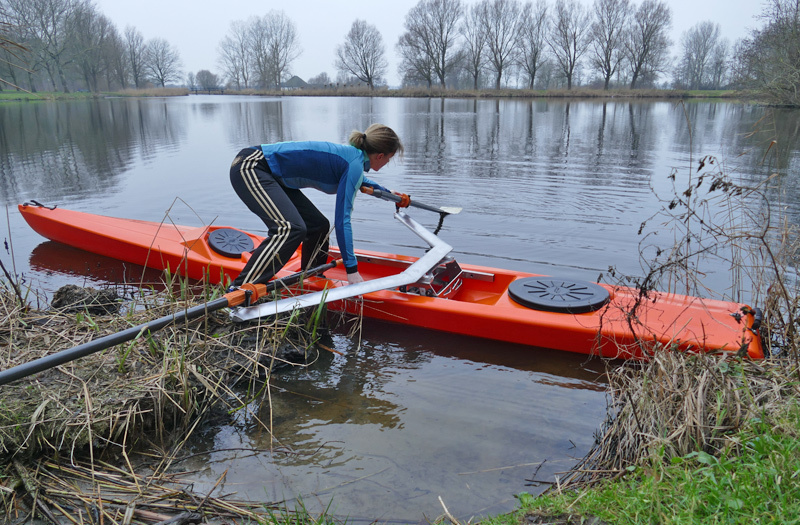 Volans4all is ideal for recreational rowing in parks, at water sports clubs and special locations or projects to make rowing boats available for beginners. The boat was created in collaboration with the international rowing federation FISA, with the aim to introduce more people to the rowing sport around the world. The Volans4all is manufactured for Volans Rowing by the company Lettmann in Moers. With this presentation Volans is focusing intensively on the German market. Boot Düsseldorf is the largest water sports fair in the world with no less than a quarter of a million visitors from more than fifty countries. Not only are there hundreds of yachts and boats to see, but there is also plenty of attention for cruises, diving, fishing, canoeing and rowing and trend sports such as wakeboarding, skimboarding and kiting. In addition to the Volans4all, Volans also shows its other boats at the fair: the Volans², Volanskids and Volanscoastal. For more detailed information you can download our brochure. Visitors can find us at the Düsseldorf fair in Hall 13, A89. Volans wishes everyone a good 2018 with lots of active water sports fun!